EcoDuino is evolving. Now the EcoDuino has a new enclosure. It is protected from water splashes, so it is safe to use beside your plants. The EcoDuino now sports an Atmega32U4 which eliminiates the requirement of an adapter. And sketches can simply uploaded via Mirco USB just like Arduino Leonado. 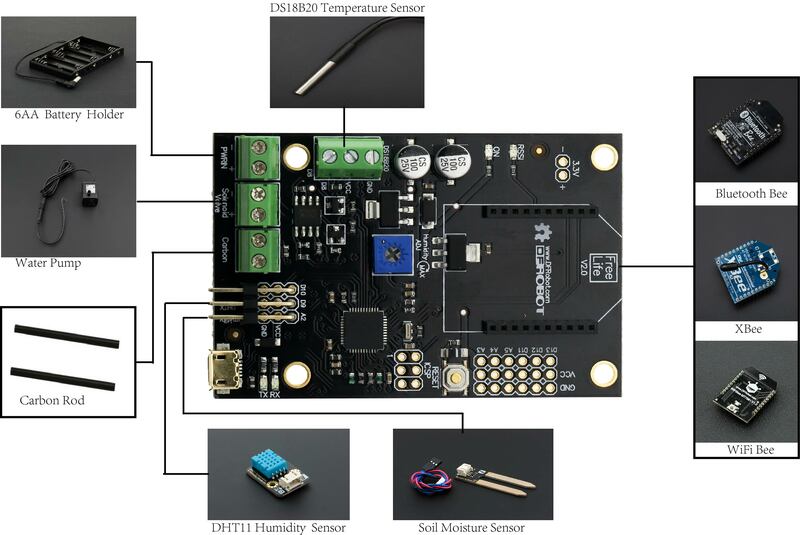 Another improvment is that the DS18B20 sensor is now driectly supported. 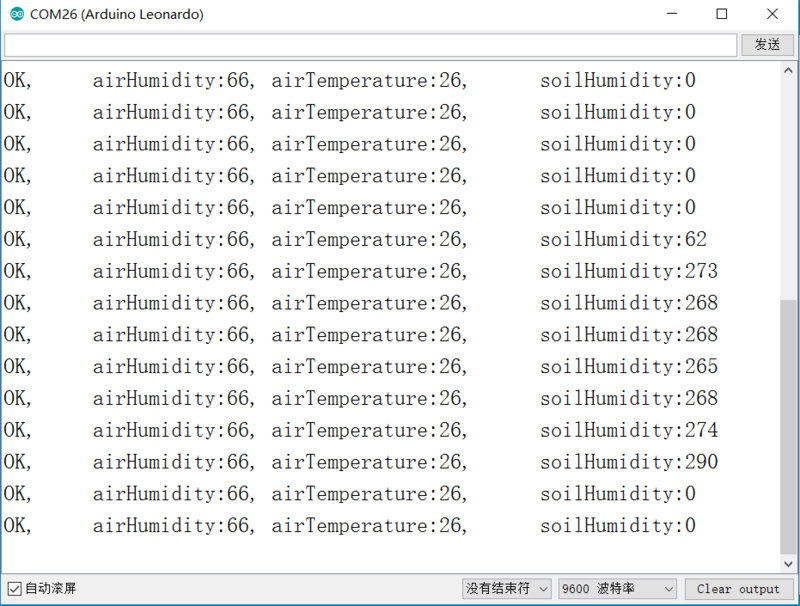 If you want, EcoDuino can message you and tell you how your plants are doing through wireless communications. It will also water your plants automatically when they are thirsty, or at a pre-determined interval. The cool thing about the EcoDuino is that it is developed based on on Arduino which means you can not only program EcoDuino in Arduino IDE environment but also use any Arduino compatible hardware in your EcoDuino system. NOTE: The cables packaged with the sensors is not correct,we suggest you use the orange cables attached. NOTE: This kit does not contain carbon, XBEE, DS18B20. The blue potentiometer is connected to the A1 pin of the main control board,The user can read the value and set the threshold for automatic watering. Open the Serial monitor, Baud rate: 9600. NOTE: This sample program does not use DHT11. You can set the threshold to turn ON/OFF the pump. When the soil moisture is lower than the threshold, it will turn ON the pump. 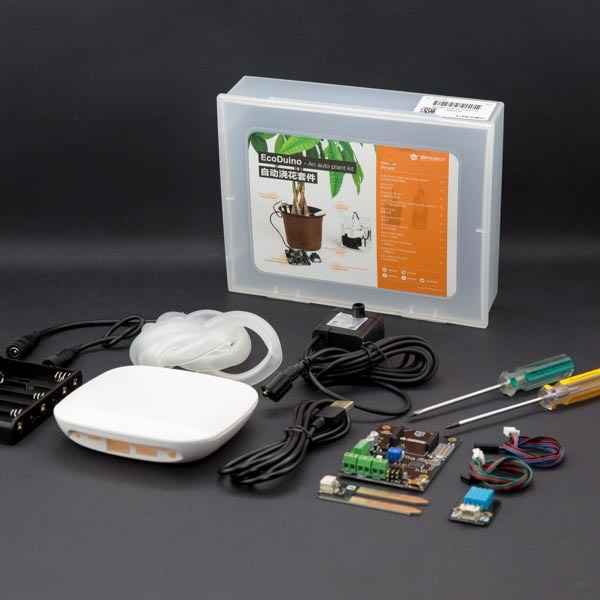 Get EcoDuino - An Auto Plant Kit from DFRobot Store or DFRobot Distributor.